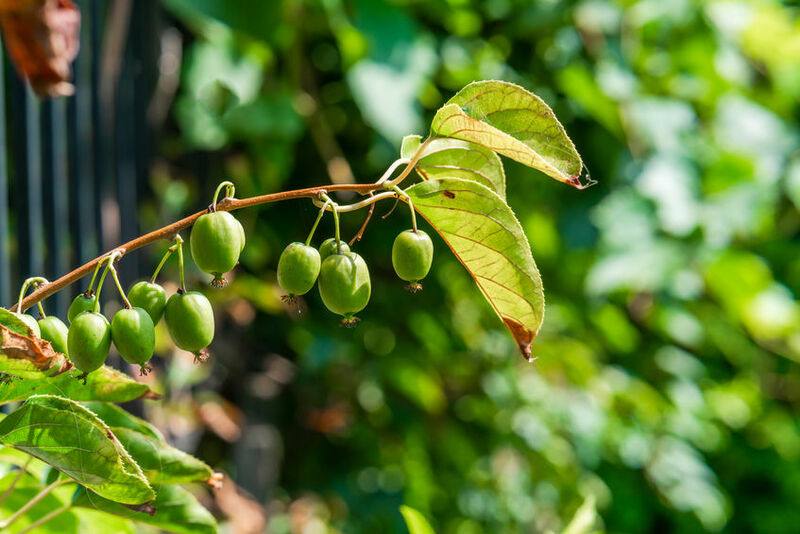 Actinidia Arguta Issai (Kiwi Issai) is an extremely hardy kiwi plant, and so ideal for our variable U.K weather. It is native to Siberia and so hardy with slow temperature drops to -34 degrees C.
We all know the kiwis that are sold in our local supermarkets. These whilst delicious, are harder to ripen in our U.K climate unless we have an Indian summer. Kiwi Issai is smaller and so easier to ripen. These little kiwis are also smooth skinned rather than furry, so can be eaten whole without removing the skin. They are sweeter and delicious and can be eaten as a healthier alternative to sweets. The plant is also resistant to disease, helping us to avoid frequent use of chemicals that may be harmful to the beneficial insects in our gardens and allotments. Kiwi Issai is also a vigorous and heavy cropping variety. It is not unusual to harvest 1000 kiwis per year from mature plants! The climbing plants prefer a sunny spot on a pergola, arch, or trellis or on a south facing wall. The plants, even without the fruit, are attractive in their own right. They are also self-fertile, unlike more traditional kiwi varieties that require male and female plants to be grown in close proximity. The plant’s vigour dictates that it may need some pruning to keep it in check. 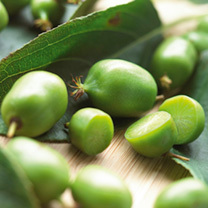 The kiwis can be harvested in abundance from late August to October.